Dr. Richard Rival performs brow lift surgery in Toronto to correct sagging eyebrows, horizontal forehead lines, and vertical frown lines. People often choose to combine brow lift surgery with an upper eyelid lift (blepharoplasty) to correct overhanging skin in the upper eyelid. Sometimes, people focus their attention on excess skin in the upper eyelids not realizing that their sagging eyebrows are the cause of the problem. 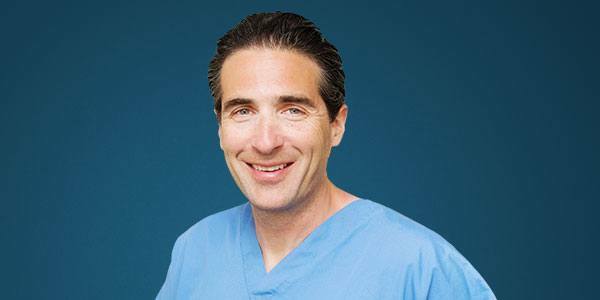 Dr. Rival will explain the benefits of both eyelid surgery and a brow lift as the procedures apply to you. He performs the brow lift as an individual procedure and also combines it with a facelift for patients who also have excess skin and lax muscles in the mid- and lower face. Younger adults who have a naturally low brow or who already have deep frown lines due to stress or muscle overactivity also may consider a brow lift to improve the appearance of their foreheads. The surgical technique that Dr. Rival recommends will depend on things such as the position of your eyebrows, the amount of excess upper eyelid skin you have and the height of your hairline (the height of your hairline can be altered a little after surgery). Often, Dr. Rival makes an incision across the top of the scalp, beginning above the ears and hidden in the hair. Sometimes the incision may be placed at the front of the hairline or the middle of the scalp. Dr. Rival designs the incision so it’s inconspicuous when it is healed. Through the incision, Dr. Rival can modify or remove parts of the muscles that cause frown lines, remove excess skin and lift your eyebrows to a more youthful level. Another forehead lift technique uses an endoscope — a long, thin tube with a light on the end — attached to a video camera. The endoscope is inserted through several tiny incisions in the scalp and allows Dr. Rival to see and work on the inside structure of the forehead. The endoscopic technique has the advantage of requiring minimal incisions, but it may not be beneficial for all patients. If your main concern is frown lines between your eyebrows, a limited endoscopic procedure can be performed to correct these problems. If you are having upper eyelid surgery, it may also be possible to treat frown lines by way of the incisions that are made in the upper eyelid. As with all cosmetic surgery, determining the specific cost of a procedure requires a personal consultation that includes a physical exam. The price of a brow lift can be influenced by a number of factors, including the extent of the surgery and whether a patient chooses to combine it with other procedures. Dr. Rival’s typical cost for a brow lift is $5,000 (+HST). While recovery varies, swelling and bruising are usually gone within 2 to 3 weeks. You may use camouflage makeup almost immediately with Dr. Rival’s approval. Do expect temporary numbness and possibly some itching of the scalp as the nerves heal. The details of the procedure and possible risks will be fully explained to you by Dr. Rival at the time of your consultation. If you’re considering a brow lift in the Newmarket or Toronto areas, request a consultation with Dr. Rival or call us toll-free at (866) 229-3223.